Leica Store Bellevue is located just thirty minutes from downtown Seattle in the heart of beautiful downtown Bellevue. 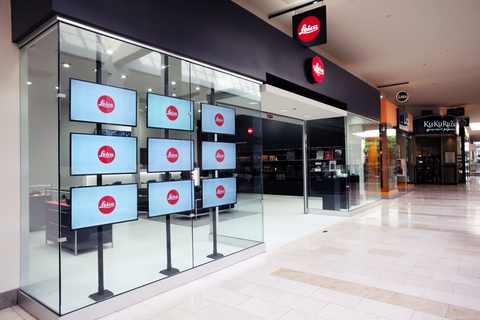 Seated at the crux of the Cascade and Olympic Mountain ranges, Puget Sound, and British Columbia, Leica Store Bellevue is the Pacific Northwest region's premier photographic retailer. Our beautiful and welcoming retail space offers a wide range of Leica products including Compact Cameras, the Leica M-System and impressive S-System, Leica Sport Optics, as well as an eclectic collection of unique products ranging from Valbray watches and ONA bags to signature Leica water bottles, straps, cases and more to personalize your individual style. Our main gallery walls feature curated Leica photographic works, and we offer an enjoyable and interesting lineup of Leica Academie workshops, classes, events, and gatherings tailored to educate and inspire you wherever you are in your photographic journey. This is a place for photographers of all ranges of experience and interests to gather, enjoy coffee and conversation, inspire one another, and take part in the heart of this region's richly vibrant photographic community. Come meet our friendly and knowledgeable staff, share your stories, be inspired, and most of all, welcome!